In this post we take a look at some of the great work from our design team which are showcased in our 2019 Look Book. Peter Pan uses a range of features here. 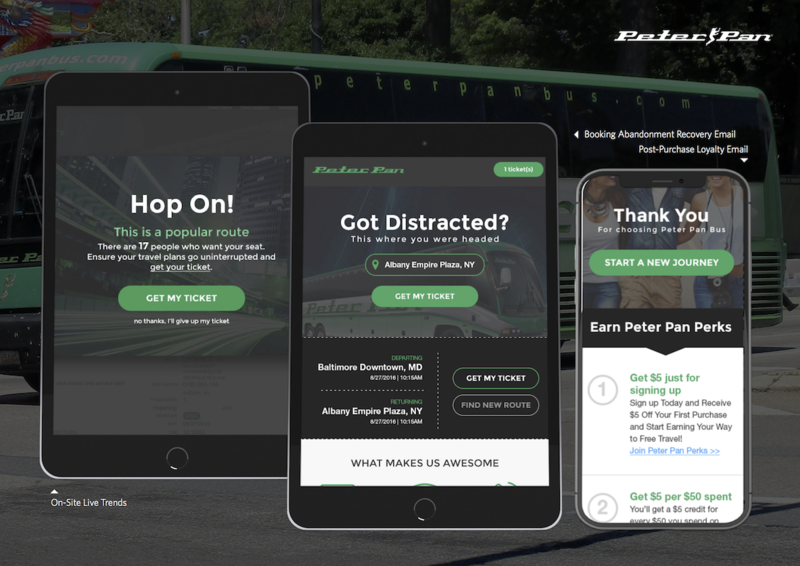 Live trends shows how popular the route viewed is, a booking abandonment email reminds them of the journey they were considering, and a post purchase email invites them to sign up for a loyalty program. Binter uses email my basket messaging to collect contact details from visitors so they can be sent email reminders of the booking or purchase they’re considering. 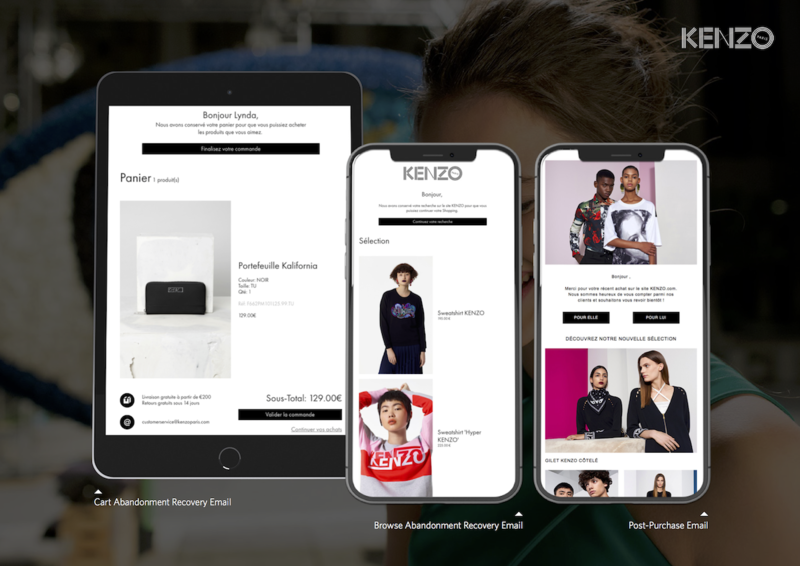 Kenzo uses a range of pre and post-purchase emails. Cart and browse abandonment emails remind people of the items they were about to buy, or had been viewing. Meanwhile, post-purchase emails provide relevant product recommendations to customers, related to the items they’ve browsed and purchased before. 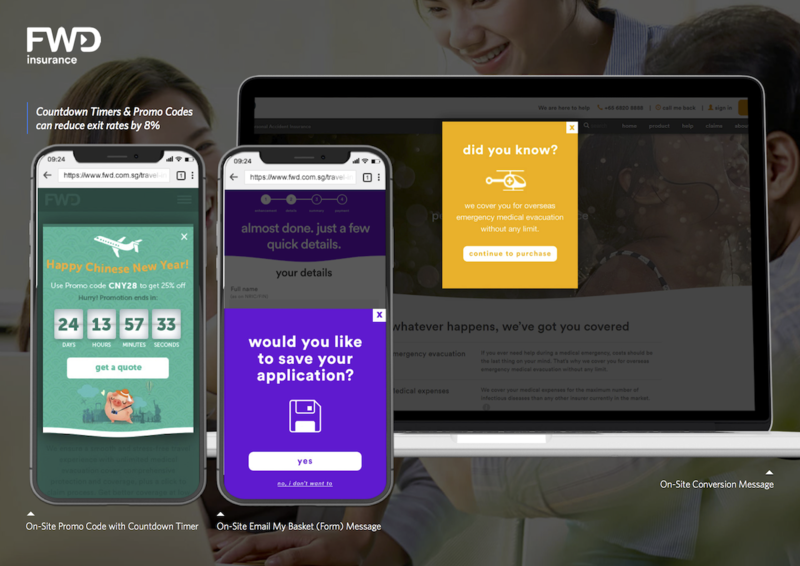 FWD Insurance uses a mixture of promo codes and countdown timers, which can reduce exit rates by 8%. Promo codes can be used on page with high bounce rates, perhaps after a user has clicked a certain link, has been inactive, or is about to leave the site. FWD also uses countdown timer in this on-site, which shows shoppers how long they have to use the 25% off promo code. 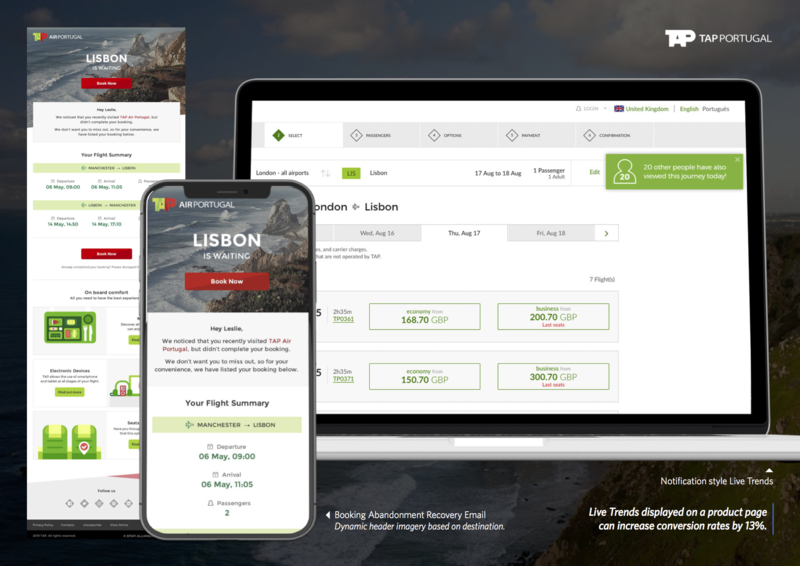 TAP Air Portugal uses live trends messaging to show how many people have been viewing a flight. This can encourage people to speed up their decision to book for fear of missing out. 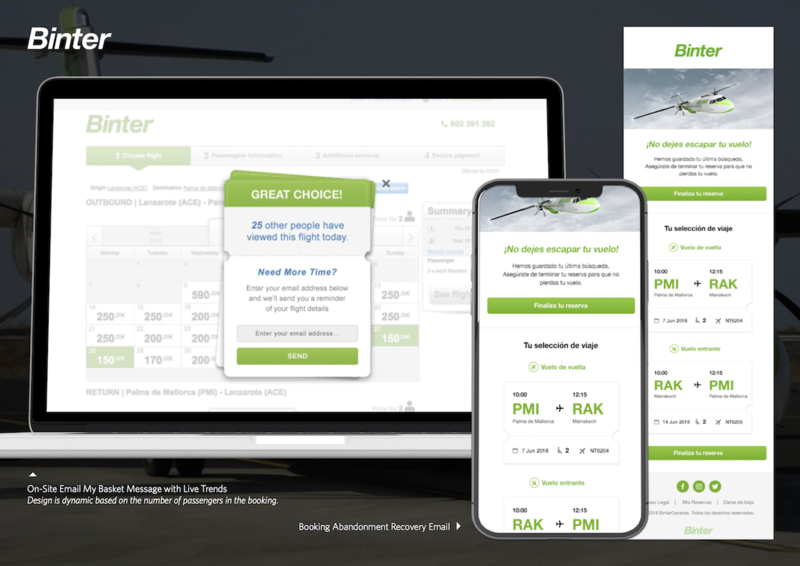 The booking abandonment recovery emails use dynamic header imagery, based on the destination people are considering. 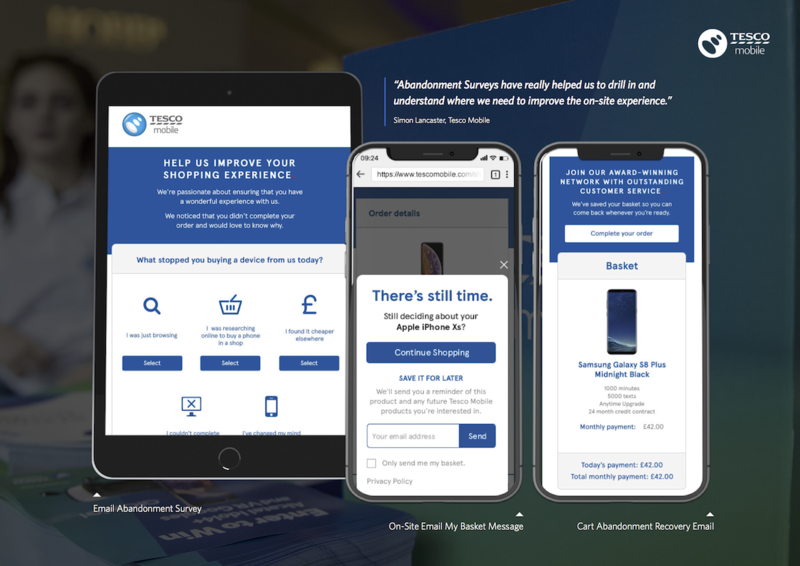 Tesco Mobile sends abandonment surveys to people who have left the site without buying. These surveys can be valuable for retailers, helping them to find out more abut customers, and uncover any problems they’ve encountered while shopping. Next articleWhat Is Browse Abandonment?